Since 1965 Pine Brook Tire Co. has been a leading Wholesale Distributor of tires in Northern New Jersey and the New York Metropolitan Area. When you are looking for a large diversified inventory, superior customer service, and competitive pricing, look no further than Pine Brook Tire Co. Our experienced sales team will make your business our business. 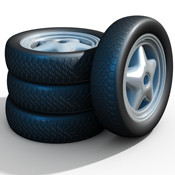 We feature National Brand tires which are respected for quality and their association with the most prominent independent tire dealers and suppliers in the world.